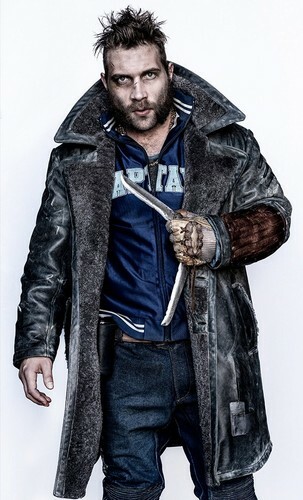 Character Portrait ~ Captain Boomerang. Shot 의해 photographer Clay Enos.. HD Wallpaper and background images in the Suicide Squad club tagged: suicide squad 2016 movie film character portrait portrait photoshoot captain boomerang jai courtney. This Suicide Squad photo might contain 상자 코트, 박스 코트, 상자 외 투, 모피 코트, 모피 칼라, 모피 악센트, 모피 액센트, 양가죽 코트, 아프가 니 스탄, 양가죽 외투, 아프가니스탄, and 양 가죽 코트.